The islands of New Zealand are a dream destination among trekkers, backpackers, and outdoor adventurists. 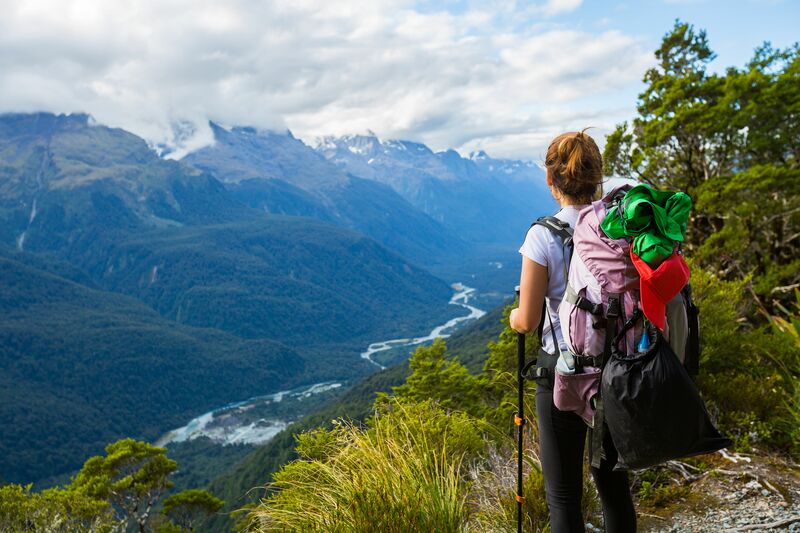 A solid way to measure your ability against the wilds of both the North and South islands is to tackle one, or more, of the nine Great Walks that pass through the country’s National Parks, open beaches, and lush rainforests. The most important part of preparing for any trek is to stockpile the right gear. The basics include a trekking backpack, trekking shoes or boots, a portable first aid kit, water purifier, and vacuum-sealed water bottle. You’ll also need backpacking equipment including a tent, sleeping bag, ground pad, cookware, and fire starting materials. Odds are high that you’ll encounter rain on your trek, so be sure to bring a rain fly to cover the tent if you plan to camp. A compass and clinometer, to measure incline, will come in handy as well. You’ll also need food that can be easily prepared over a campfire like beans, chili, and soup. Pre-packaged campfire meals, such as Patagonia Provisions, are excellent for optimizing nutrients while taking up minimal space in your pack. Nuts, berries, dried fruit, and dark chocolate provide quick bursts of energy on the trail. Be prepared to ‘pack in and pack out’ your waste, not only because it’s the right thing to do, but because you’re breaking the law if you don’t. Note that during “Great Walks Season,” from mid-October through April, services and accommodations are readily available. 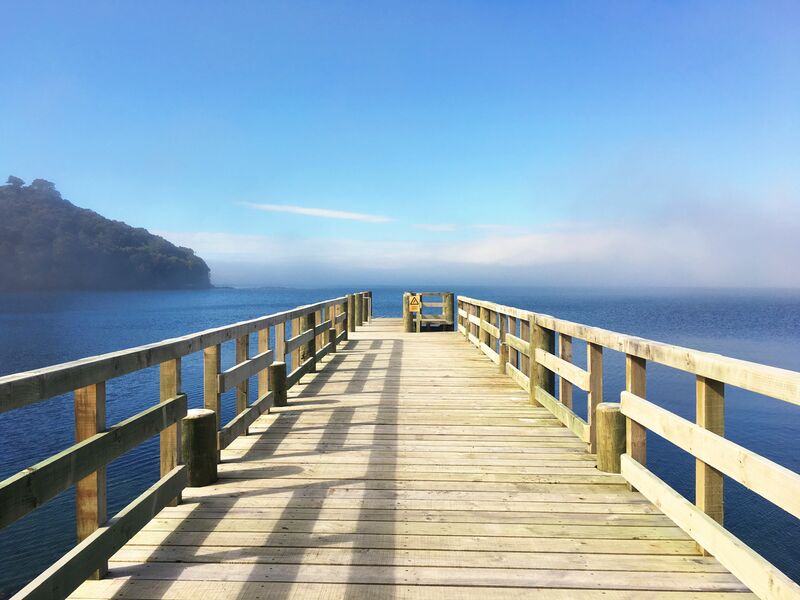 Although peak seasons for each walk can vary, bookings for the upcoming season begin in June on the DOC website. Services are drastically reduced outside of that time frame, and huts are first-come, first-served. All prices listed are per person for adults 18 and over. Children are free but still require booking in most cases. 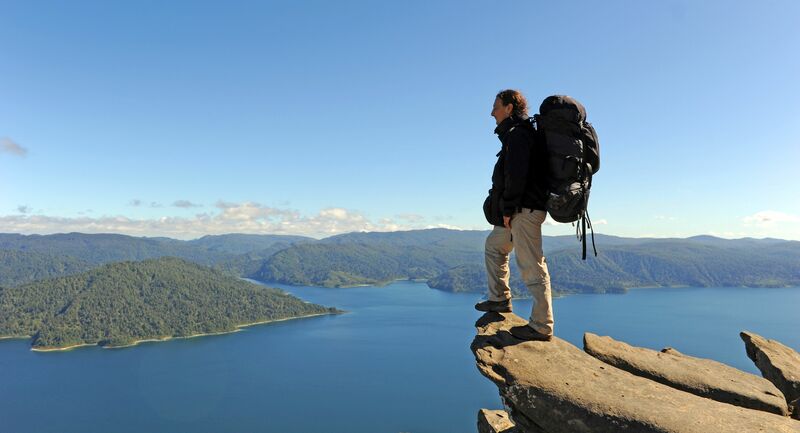 The Lake Waikaremoana trek is the northernmost of the Great Walks and a great jumping off point for first timers. The trail progresses along the lakefront to deserted beaches and through dense rainforest, posing a decent but not overly difficult challenge for any trekker who’s in decent shape. The contrast of water, abundant plant life, and beaches make for incredible photos, and you’ll ultimately be rewarded with jaw-dropping views from Panekire Bluff. 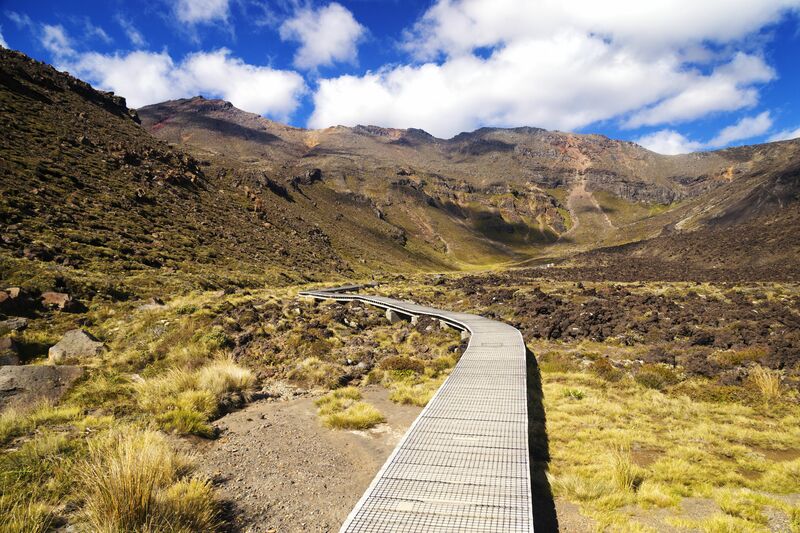 This trek brings you into Tongariro National Park, the heart of New Zealand’s volcano country. Notable peaks include Mount Tongariro, Mount Ruapehu, and Mount Ngauruhoe, which was made particularly famous by Lord of the Rings. In valleys carved by glaciers, you’ll pass by waterfalls and through beech forests on your way to the Emerald Lakes within the volcanic craters. This one is for the river rats. 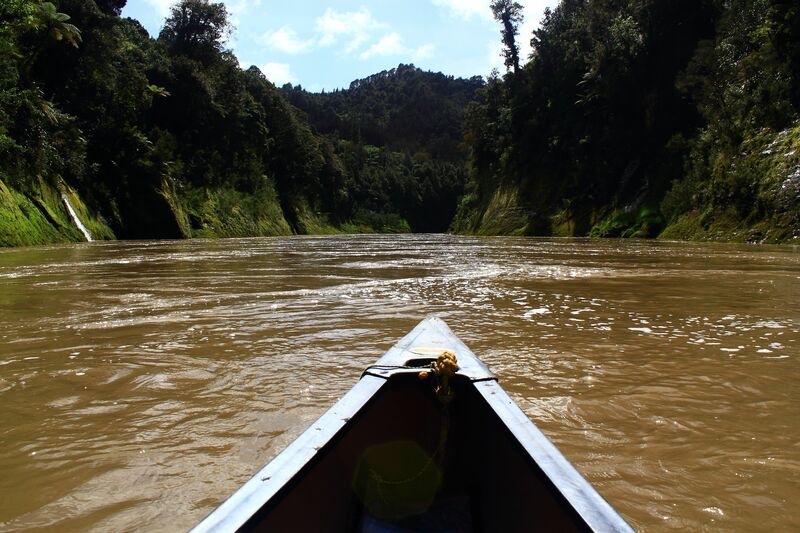 You’ll make your way down the Whanganui River through Whanganui National Park via canoe or kayak, with plenty of opportunities to snap photos of the surrounding hills. Like the Tongariro Northern Circuit, this adventure is located in the central part of the island, about a five-hour drive from Auckland. Bring a guidebook and read up on the culture of the Maori, the native population of New Zealand, and be sure to walk the Bridge to Nowhere (which is actually quite photogenic). Book this trip well in advance to ensure availability in Tieke Kainga, a hut that’s also used as a traditional Maori “marae,” or meeting space. The South Island Great Walks kick off at the northern tip of the island in Abel Tasman National Park. Action seekers will love this trek, as you’ll slide down a natural waterslide at Cleopatra’s Pool and make your way across the suspension bridge at Falls River. If your feet need a break, you can do part of this trek in a water taxi or canoe, which also gives you plenty of opportunities to take in the gorgeous scenery around you. Bird watchers, rejoice! This trek is for you. 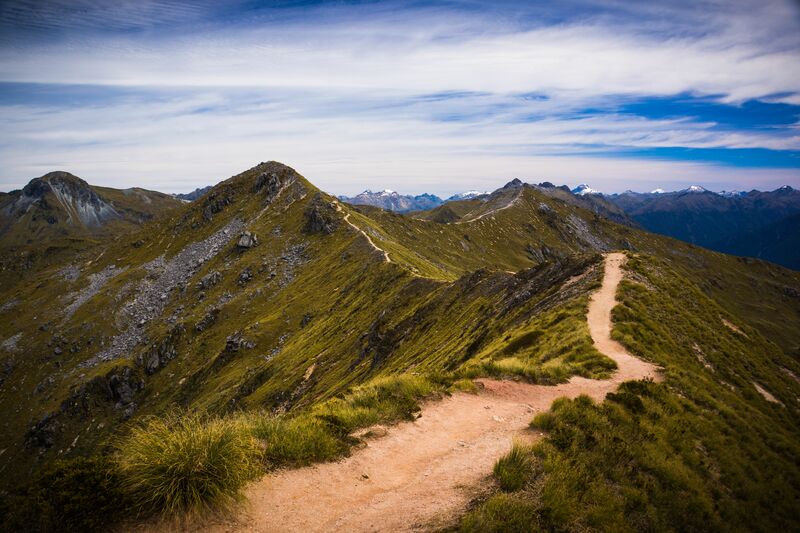 New Zealand’s Kahurangi National Park is home to a number of native birds. As you make your way from verdant forest to the South Island’s western coast, you may glimpse the infamous great spotted kiwi, along with weka, kereru, tui, kea, or kaka. This is the only Great Walk where mountain bikes are allowed, but only between May 1 and November 30. The Milford Track in Fjordland National Park is the ultimate destination for waterfall chasers. They are a consistent presence throughout the trek, highlighted by the 1,900-foot Sutherland Falls. 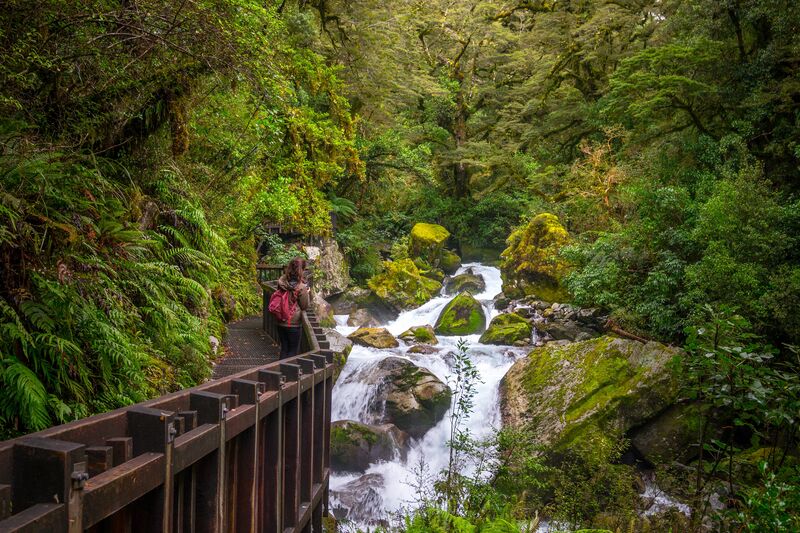 Start the trek from Lake Te Anau and make your way through leafy rainforests towards Milford Sound. You must book all three huts on this trip as there are no campsites available. Another Fjordland National Park Great Walk, the Kepler Trek takes you from shorelines of crystal-clear lakes to mountaintops offering expansive valley views. Its location is close to the Milford Trek, beginning and ending near Lake Te Anau, making the pair a popular route for completing two Great Walks in one extended trip. Book a stay in the Luxmore Hut and peruse the limestone caves nearby. This third of the Great Walks within Fjordland National Park is the shortest of them all, but not lacking in beauty or challenge. The trek is named after the Route Burn, a river so pure you can see straight through it, and makes its way towards Routeburn Falls and Earland Falls. You’ll spend most of the time up in the Darren Mountains, taking in views of the surrounding park and valleys. The southernmost of the Great Walks and the toughest to get to is the Rakiura Trek on Rakiura, also known as Stewart Island. 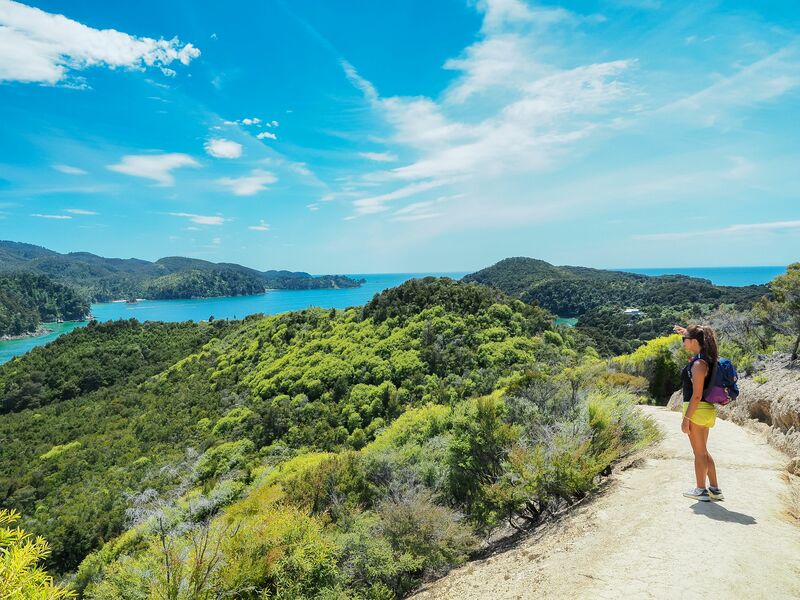 Rakiura National Park comprises about 80% of the island, and this trek shows you the best the park has to offer. As you pass by early Maori settlement sites, dense forests give way to bright, golden beaches. 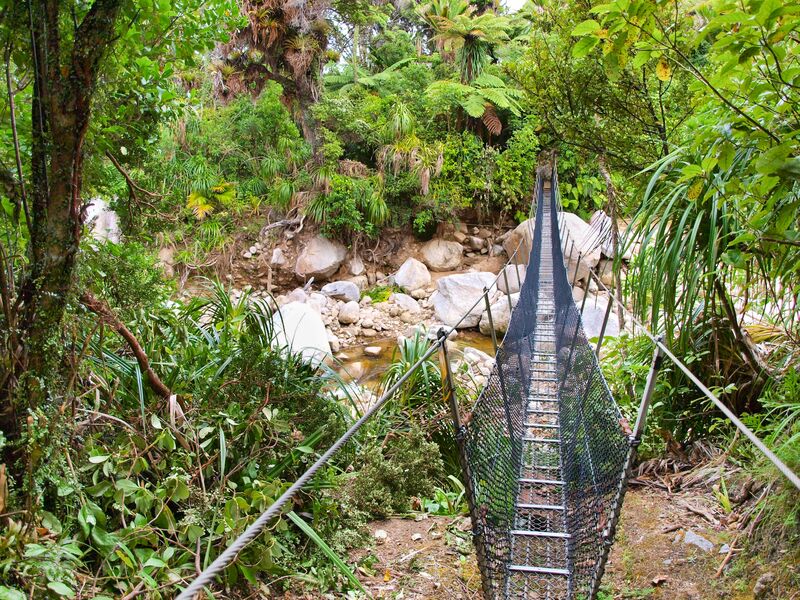 This trek offers the greatest chance of spotting a kiwi.